The legal effect of that is, as a parent, you have no legal authority to make medical or financial decisions on your child’s behalf without legal designation as your child’s representative. This is a “worst-case scenario” no parent ever wants to encounter but must be prepared to handle. Every parent should have a Healthcare Power of Attorney, Advance Directive/Living Will, HIPAA Authorization and Durable Financial Power of Attorney for each child over age 18. 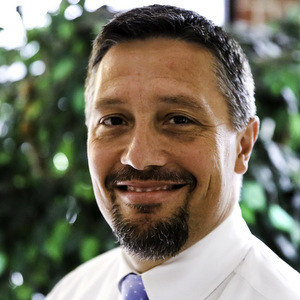 While these documents may not have been a necessity in the past, under the ever-increasing regulation of the health care industry (in particular), proper documentation has become a requirement. A Healthcare Power of Attorney and Advance Directive/Living Will allow parents, as the named healthcare agents, to make medical decisions if their child is physically incapable of doing so. This could arise if your child is unconscious or otherwise incapacitated after a car accident or other medical emergency. These documents provide parents with the ability to talk to their child’s medical care providers, discuss treatment plans, and even make urgent decisions regarding lifesaving treatment. Even more importantly, obtaining these documents creates an opportunity for parents and children to discuss their child’s wishes when it comes to organ donation, artificial nutrition and the limits of life-extending treatment. The Health Insurance Portability and Accountability Act (“HIPAA”) prevents your child’s health care providers from disclosing medical information with others once your child turns 18. HIPAA authorizations allow your child’s health care providers to legally share this information with parents or other designated people. A Durable Financial Power of Attorney allows your child to name parents as agents who have the authority to manage your child’s financial affairs, including paying bills, signing checks, managing stocks, and buying or selling cars. A Durable Financial Power of Attorney also allows parents to file taxes, renew car registrations, and sign other documents on their child’s behalf. A Durable Financial Power of Attorney can allow parents to manage their child’s affairs while he or she is away at college or even while studying abroad. Once your child turns 18, you will need your child’s legal permission to access and make necessary decisions regarding their medical treatment, bank accounts and other assets. Having these legal documents prepared and signed early on can help to protect your child in the event of an emergency. It is critical to consider your child’s privacy concerns. Therefore, these legal documents can be drafted to grant very limited powers or a broad range of authority and can be revoked whenever your child wants. 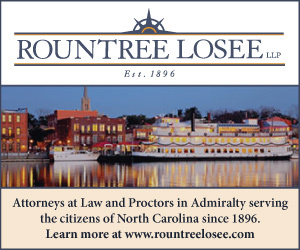 If you have any questions about the preparation of Healthcare Powers of Attorney, Advance Directives/Living Wills, HIPAA Authorizations, and Durable Financial Powers of Attorney for your adult children, the attorneys at Rountree Losee can ensure that these documents comply with North Carolina law.